Our dedicated team is looking forward to helping you with all of your orthotic and prosthetic needs. Katie is a native to northern California having grown up in Shasta County. She was very active in 4H with horses and livestock. She graduated from West Valley High school in Cottonwood in 1997. After she attended Shasta college where she received her AA in General Education and transferred to CSU Chico where she graduated in 2001 with a B.S degree in Agriculture Business and emphasis in Marketing. After a variety of different jobs around the state Katie moved to Colusa County where she was employed for over 10 years as a loan officer for Farm Credit. Shortly after the birth of her first son she left Farm Credit and began substitute teaching. Katie has always been interested in a wide array of subjects and enjoys meeting new people. 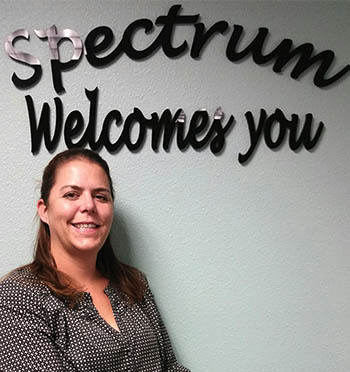 These skills led her to Spectrum in Oroville, which has been a great fit for Katie and her skill set. She and her family live in the area with their animals. Mike worked as manager for Cascade Orthopedic supply in Chico, Ca where he gained tremendous prosthetic and orthotic product knowledge. 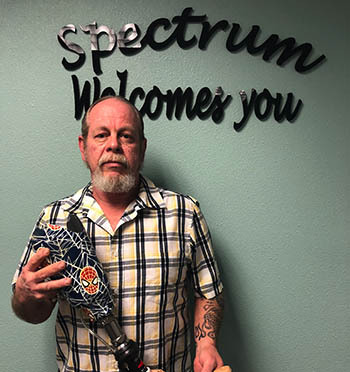 He has been in the O and P industry for over 22years and has been with Spectrum Orthotics and Prosthetics for over 11 years, fabricating orthotic and prosthetic devices. Having gained so much knowledge in the industry and his passion to help people, he became an orthotic fitter 3 years ago and has been serving the Chico and Oroville community. Originally from Lake Almanor, but has lived and raised his family in Chico for over two decades. In his spare time Mike enjoys hunting, gardening, woodworking and spending time with his grandchildren.